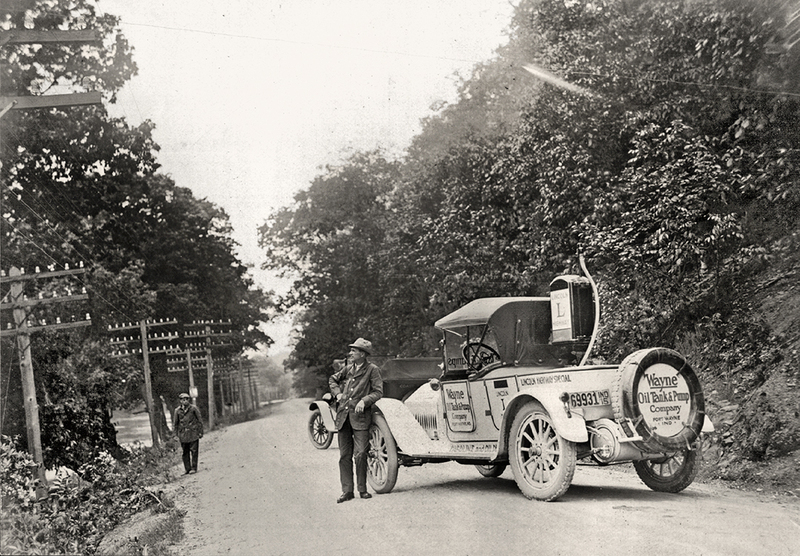 Dave Chase posted a short story about the Lincoln Highway through Mt. 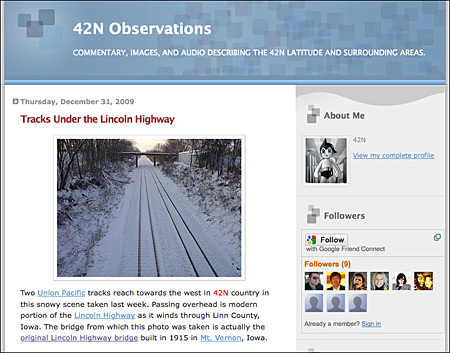 Vernon, Iowa, on his blog 42N, which details life around the 42N latitude. His photo shows the Union Pacific tracks on the west end of town that are crossed by a bridge that carries the Lincoln Highway. Dave took his photo from the original 1915 LH bridge. He has a link to bridgehunter.com that features images of that arched span, including the photo below by our friend J.R. Manning (you may have seen him on the road in his yellow Model A). 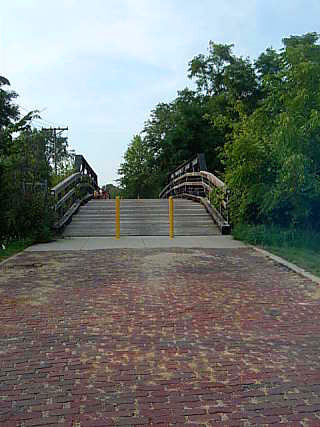 His 2007 view is looking north from a preserved brick stretch to the rehabbed bridge, now for pedestrians only.